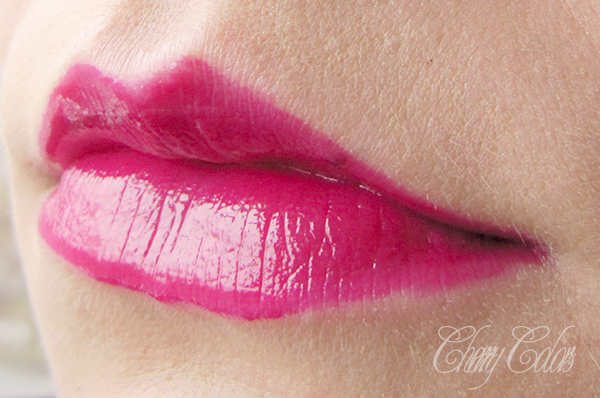 Catrice lip polish Mission PINKpossible - Cherry Colors - Cosmetics Heaven! I am in the middle of changing the design/feel of the blog, so for today I have a quick post. It is about the wonderful Catrice Mission PinkPossible. For some odd reason, I completely forgot to take pictures of the product itself. Whoops! So here's the official picture from Catrice.eu. 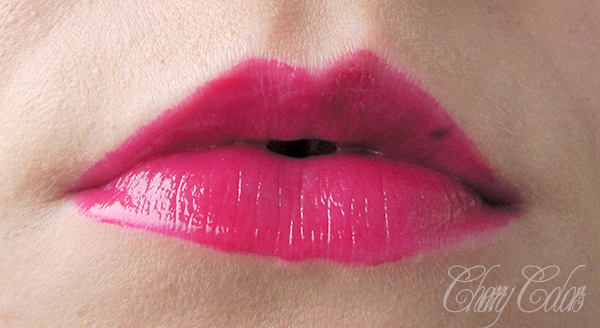 It is a lovely creamy lipstick that stains the lips after a while. It is very long lasting on me, which is quite rare as I tend to drink water all the time! 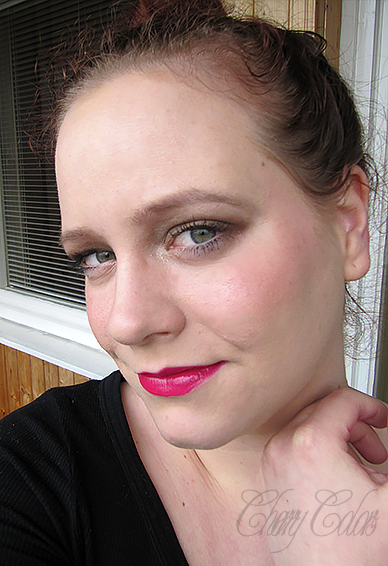 The application is flawless in one go (but excuse the messy application on the photos!). Here's how it looks integrated in a make up look. Do you have any of the Lip polishes?